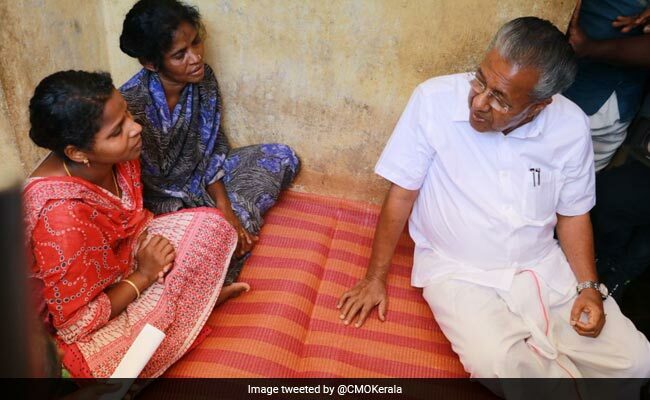 As the Kerala government embarked on a fund mobilisation drive for reconstructing the flood-hit state, Chief Minister Pinarayi Vijayan said today he was hopeful of getting the offer of aid made by the United Arab Emirates (UAE). At a function organised to honour IAS officers who coordinated in operations to rescue stranded people from flood affected areas, Mr Vijayan said several foreign countries have come forward to help the state. Referring to the reported offer of Rs 700 crore made by the UAE to carry out relief operations and centre's decision not to accept it, Mr Vijayan said he does not believe that the stand (of the Centre) would continue. Noting that the state was receiving good support for fund mobilisation from the country and abroad, Mr Vijayan said the effort should be to make use of it properly. The chief minister said the state government had asked for a special package to tide over the situation besides the compensation for the loss and damage caused in the devastating deluge. However, he said there were limitations on part of the centre to fully compensate the loss and damage suffered by the state. "So the state has to find resources to overcome the shortage of funds for taking up the rehabilitation and rebuilding exercise," Mr Vijayan added. Alluding to the cabinet decision to appoint KPMG as project consultant partner for rebuilding the state, Mr Vijayan said, "We will not restrict the consultancy to one agency. We will ensure that we get the assistance of all." As part of the fund mobilisation initiative, the cabinet has decided to seek financial aid from abroad through non-resident Keralites, from major cities in the country and also from educational institutions in the state.